Regent Plaza hotel and convenssion center is a 250 Rooms Hotel in the center of Karachi. The hotel is 13 kilometers from Karachi Airport and about same distance from Karachi Expo center. The Regent Plaza used to be Taj Mahal Hotel Karachi later it was Holiday Inn Crowne Plaza Hotel however now it is under its own management and is called Regent Plaza Hotel & Convention center Karachi. Hotel is a graded as standard 5 star hotel offerring all amenities of a 5 star hotel and at a price more competitive than the other hotels in Karachi. 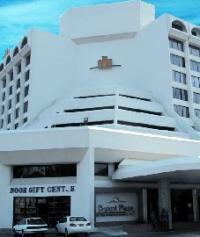 Regent Plaza hotel is choice for man convensions and events. Its has ample space for large and small exihibitions. 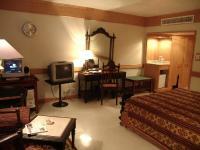 The hotel is situated on Shara-e-Faisal close to the down-town and business areas. Commercial and shopping centres are near bye. �A Jewel in the crown� Kohinoor Hall is the largest pillar less hall in the country with a total area of over 15000 square feet, most suitable for conventions, conferences, fashion shows and wedding. 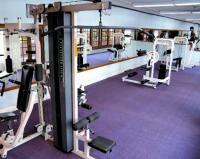 Can be offered in any style of seating and set-ups can accommodate 1200 Persons. Regent Plaza Hotel & Convention Centre in Karachi, offers above rates only to Hunza tours. The online reservation payment must be made to Hunza tours not the hotel. Book your events, Meetings, Conferences Marriage parties at Regent Plaza Hotel & Convention Centre or any other hotel in Karachi please feel free to email us we will offer you the best possible rates and perfect arrangements to suit your events. For room reservations at Regent Plaza Hotel & Convention Centre Karachi please contact usTravel & Culture Services are hotel reservation agents in Pakistan. We reserve hotels at special discounted rates for individuals and companies.